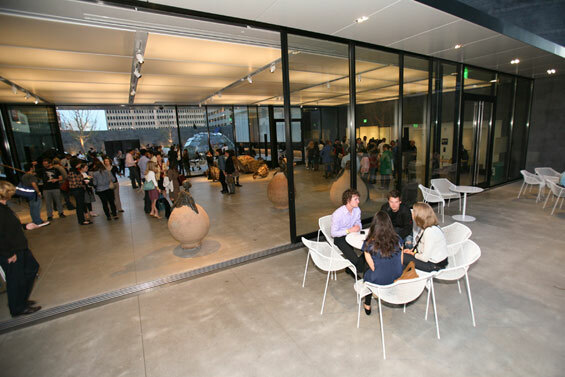 Big thanks to the folks at Blue Bottle Coffee and SFMOMA for hosting a delectable charcuterie/coffee party! And thank you to the chefs: Staffan Terje, Morgan Maki, Chris Kronner, and Leah Rosenberg. 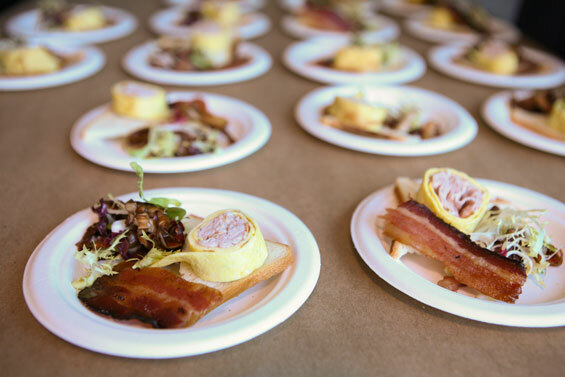 The coffee-inspired charcuterie and meat-inspired desserts were delicious. Breakfast for dinner by Morgan Maki of Bi-Rite Market. 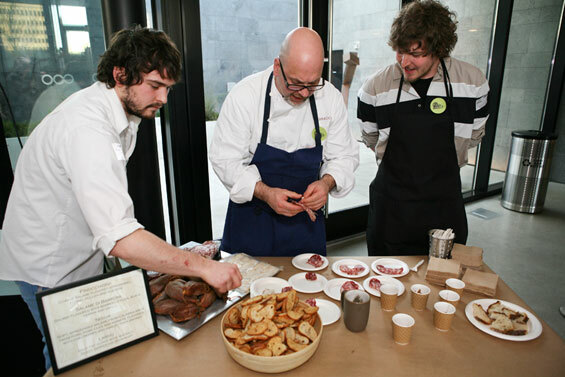 Staffan Terje of Perbacco & Barbacco (center) and Chris Kronner of Bar Tartine (right). Photos by Claudine Gossett. See more event photos here.